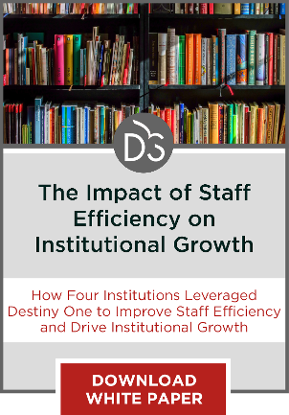 Major process changes and improved student experience are more likely outcomes to efficiency-related changes than downsizing, which ultimately accomplishes very little. The question pops up time and again: does efficiency in the postsecondary context translate to downsizing? The answer: no, absolutely not. Efficiency in higher ed does not necessarily call for reducing headcount, just as the corollary is false: reducing headcount will not create efficiency. Interestingly, thought leaders today believe it’s often much better to look at effectiveness rather than efficiency; but, let’s stick to the question at hand — and you can decide for yourself. If a university is inefficient and then reduces headcount, institutional leadership has accomplished very little. Their reduced number of employees will continue to do inefficient things. For leadership to expect anything but that outcome is misguided and naive. 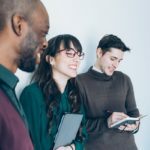 In that scenario, leadership has failed to effect fundamental and meaningful change; it has instead made the common mistake of looking in one column and one column alone, for employee headcount — and that myopia defines their mistake. Efficiency is not driven by headcount, but by process. Clearly, efficient processes can carry the day. But no number of employees (whether reduced or increased) can turn an inefficient process into an efficient one. This discussion should remind us of the age-old irony that exists in the IT realm — automating inherently bad processes. 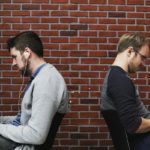 As the adage goes, “We were doing some bad things, and technology enabled us to do those bad things even faster.” In this latter case, the organization actually took steps backward when leadership thought that they were being progressive. So, what might be some of the correct answers if downsizing is the wrong answer? At our institution, mapping the “as is” process that students had to go through to do certain things, in one case, revealed dozens of steps. A concerted project effort got the “should be” process down to eight steps, and it remains in place today. There are many computer hardware vendors for higher ed institutions to choose from, and even more computer models/configurations on their lists of offerings. Colleges, schools or departments making their individual hardware selections — and negotiating their own deals — can only lead to higher prices, more challenging tracking of devices, their configurations and their hardware cycles, and more costly maintenance and support elements. Having academic and administrative units coordinate their efforts, in partnership with IT and the procurement office, can significantly reduce complexity and introduce efficiencies. Reducing the number of vendors and models to choose from (two of each, perhaps) simplifies vendor management and brings the benefit of volume-based price reductions. There are fewer configurations and hardware replacement cycles to track and maintenance efficiencies result when the team takes care of a less-varied array of devices. Learning Management Systems (LMSs) and their ancillary technologies usually represent sunk costs; the institution pays on a full-time equivalent (FTE) basis, not a per-use basis. That simply means that when you get a site license, use the applications and ramp up adoption in order to get your money’s worth. Two solid examples here: a few years ago, we began using our LMS not just for class-faculty-student efforts but for training-administration-employee efforts as well. All employees take several of their mandatory training classes in the LMS. This got us away from expensive third party-based courses and tests and administratively burdensome in-person, HR-based training sessions, verifications and tracking. Secondly, for years now, we’ve administered all of our placement exams for incoming students using our LMS. Freshmen and transfer students no longer have paper-based or on-campus placement tests to take. We even do this for different language programs now. These individuals are not actually students (yet) but they are using our LMS nonetheless. With more than a dozen colleges and schools, any higher ed institution these days would struggle with siloed mentalities in those units and their departments. Further, when it comes to acquiring hardware, applications, software and the like — there’s a general reluctance to ask for permission, preferring to later beg for forgiveness. In essence, the units do what they want and seldom, if ever, share their discoveries, acquisitions, approaches and successes or failures with those outside their fiefdoms. After all, there’s no compelling reason for them to do so. Whether a collaborative approach will effect substantive change or not, committees where like-minded professionals can discuss what they’re doing in their units can begin what some might call the healing process. Lab managers are a good example that comes readily to mind. These techies actually like to talk about what they’re doing, new technologies they’ve found, vetted and implemented (or not), and actually enjoy having their colleagues learn how progressive and groundbreaking they are. Coordination of such a group at our institution has proved beneficial and fruitful. Recently, this same group embraced an institution-wide project to get all computers encrypted and as many as possible backed-up through a third-party service. The former was centrally funded while the latter became a small expense item for the individual departments. The goal is to have nearly 3,000 machines encrypted by year’s end and, together, it looks like the team will succeed. At one point, our university had five different LMSs in play. Academic units could almost select whatever they liked, without governance or even guidance from leadership. Getting onto a single LMS (finally accomplished in June 2012) not only saved considerable money but students and faculty now needed to learn only one system. I was once engaged as an adjunct to deliver three course sections in the same term — on three different LMSs — all within the same institution. An oversight group established an aggressive 18-month roadmap where the massive migration to a single LMS was communicated, discussed, implemented, tweaked and completed — on time (no timeline change) and without significant changes (e.g. scope creep). Academics are by nature competitive beings, and justifiably so in many cases. When they find something that works, gives them an edge or appeals to their students, they’re wont to tell colleagues in their own department, let alone those in other departments. Plus, the institutions themselves provide few mechanisms wherein academics or administrators can share the great things they find. If a find is good for one set of students, it’s likely good for students in other disciplines, at least some of them. We have several instances where we discovered individual departments were using certain software/applications for their students, found them useful and meaningful, and we learned a site license would be cost effective. By obtaining a centrally-funded license, all of the other colleges, schools and departments were able to enjoy these pre-vetted programs as they deemed appropriate. Naturally, this list is not an exhaustive one. Yours would certainly be different and you might even disagree with some of my elements. Fine with me; let’s talk about it. In closing, remember to take a look at increasing your organizational effectiveness, not just your efficiency. Be sure to check out Ron Kraemer’s article in the July/August 2014 EDUCAUSE magazine entitled, Advancing Without New Resources (I came across it after writing this piece). Skeptics would say that much of the above is mere common sense. My retort would be: if so, why are the above approaches not more common? Scheuermann provides a pretty comprehensive list of what greater efficiency looks like in university operations. But like many other higher ed thinkers, he stops short of describing what academic efficiency might look like. 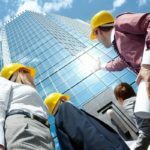 Once we’ve improved the process for doing business, or the operational efficiency, it makes sense to me that we would also look at improving the business we do (in this case, educating). A lot of what Scheuermann suggests ties in with the shared services model many institutions are starting to adopt. Leveraging existing resources and improving cross-departmental communication is key to increasing efficiency through economies of scale. Perhaps having a central office to handle shared services is one strategy institutions can adopt in implementing these changes.